We have finally arrived at the seasons close, a smattering of weekend gigs sprinkled through out September mark the end of our busiest summer to date. Highlights have included residencies at Alnwick Garden and Gatwick Airport, wowing the crowds at the Tournament in Conwy and the Festival of Glass in Stourbridge. 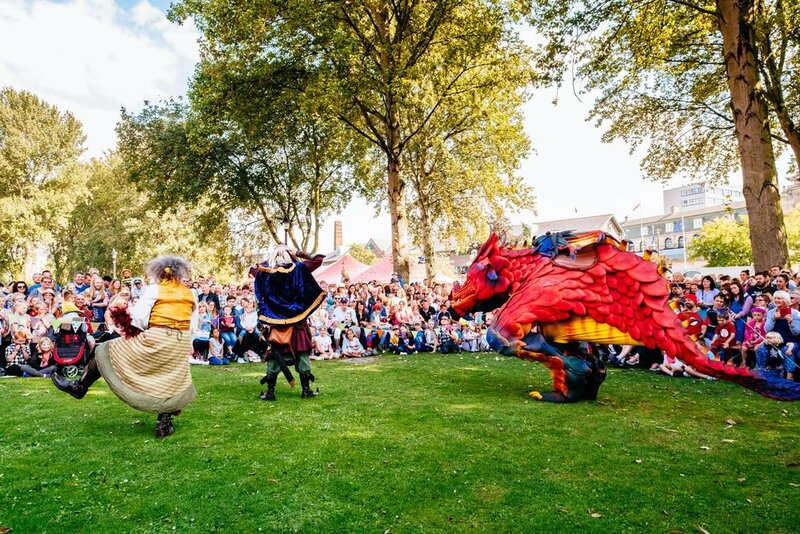 Returning to Margarm Park for their Dragon Day, helping Hull celebrate its year as Capital of Culture at Freedom Festival and adding a touch of Wind in the Willows charm to a riverside wedding. We wish the bride and groom and all our audiences across this magical summer a heartfelt thanks.